Business Officer was our first client. We’ve held their projects to the highest standard. 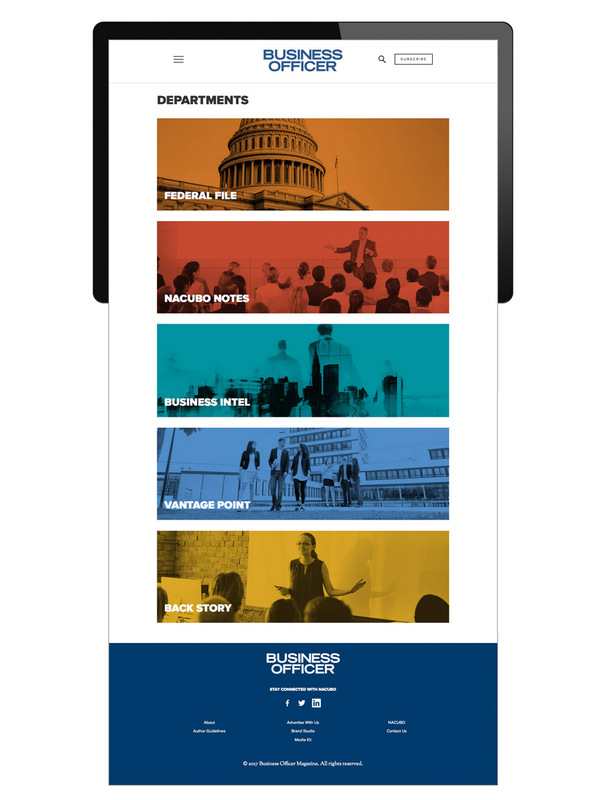 Over the course of the last decade we've designed and delivered over 100 issues of the print edition of Business Officer. Along the way we've hit every deadline and won a number of design awards. In 2017 we launched the digital edition of the magazine in the form of a custom-built responsive website. See our publication philosophy and digital philosophy to learn more about our methods. If someone needs to read 2,500 word stories online, let’s not make it difficult. 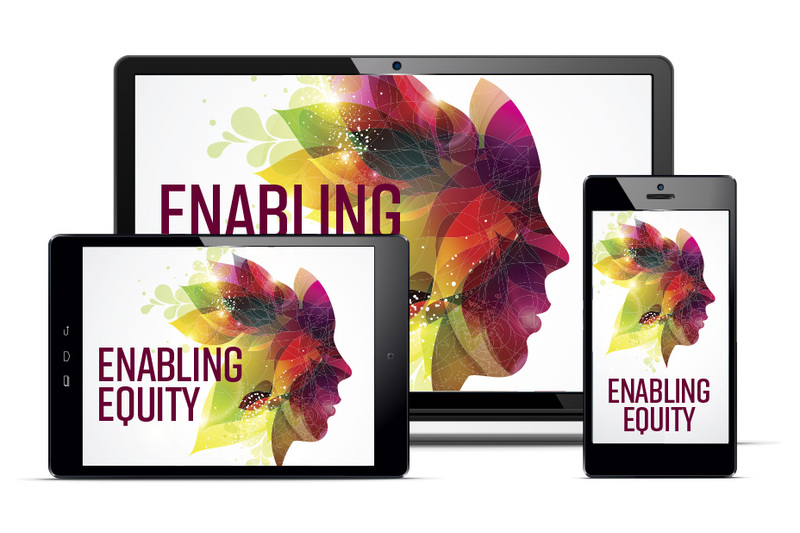 Our approach to the digital edition of Business Officer makes long form reading easy on any device. 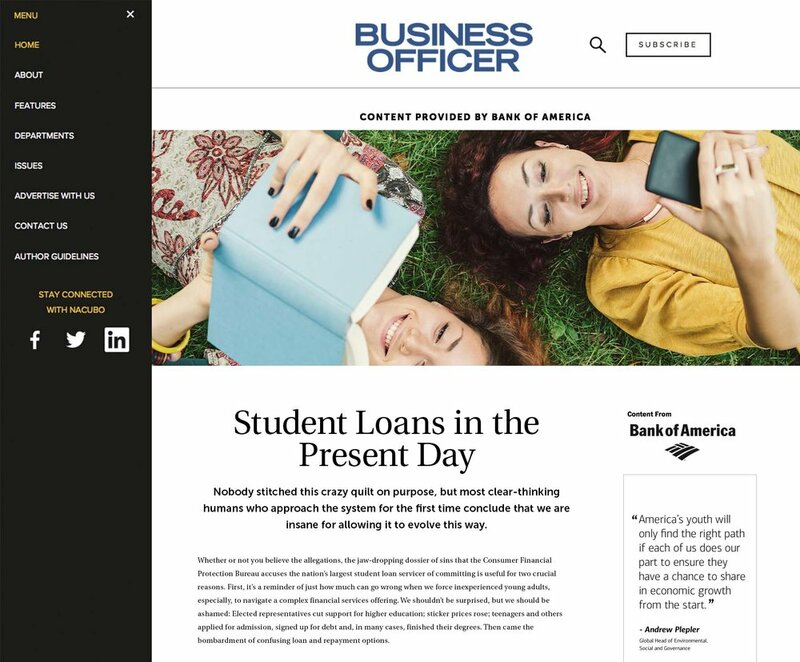 We've constructed custom templates with typography, image style, and color choices all aimed at at clear and consistent presentation of each article. We put in the extra legwork to make sure the images in Business Officer are out this world. Since Day 1 we've used our skills in image selection and editing to get the most out of each image. Business Officer prides itself on conceptual imagery and we've assisted them in making images come to life. We are experts in Photoshop and have used that skill set to create hundreds of custom images for the magazine. 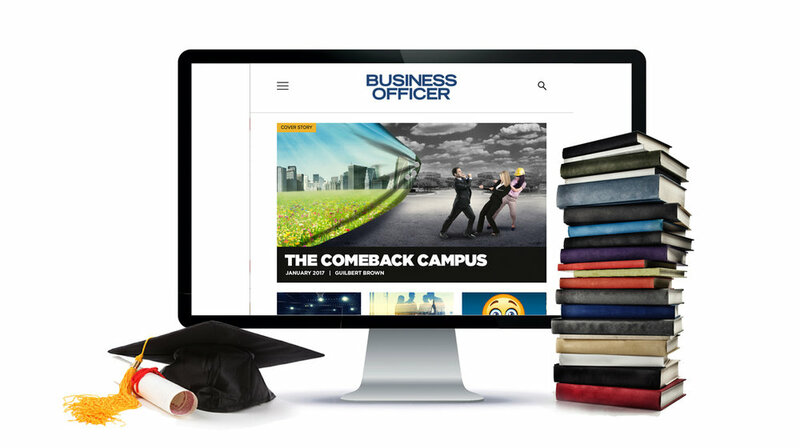 Advertising on the Business Officer site is handled with immersive advertorials. Digital development projects have a million small moving pieces. Our method manages the minutiae so the team can concentrate on invention. We use a agile method when developing web projects and couple it with a Trello based project management system. It's a highly transparent way of working and keeps everyone on the team involved with the success of the project.